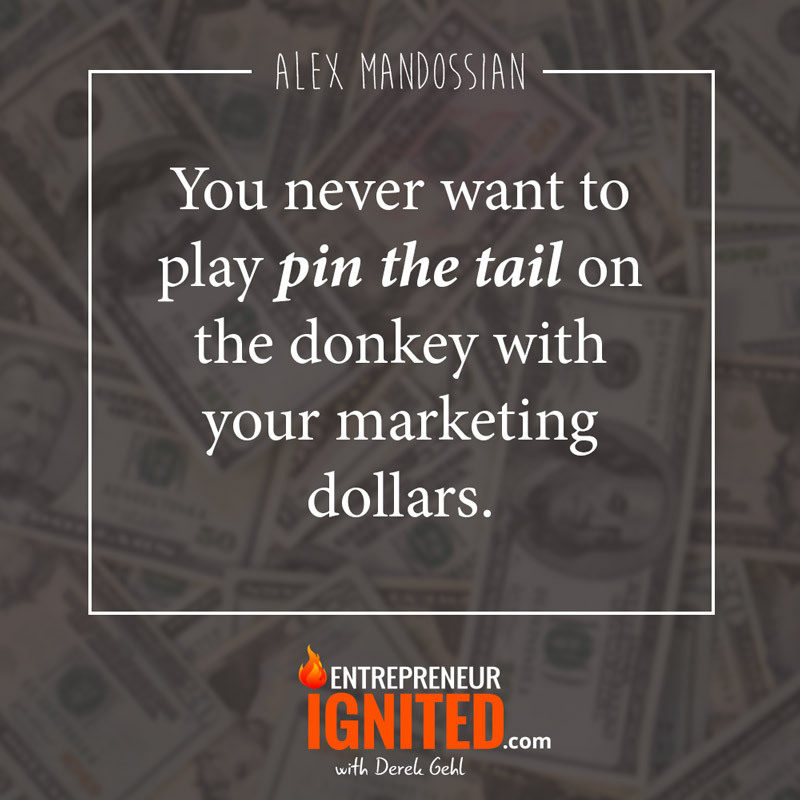 Internet marketing legend Alex Mandossian reveals how you can increase your conversion rate and increase your prices using his “unselling” method. Even if you are NOT a salesperson you can use his selling methods successfully. 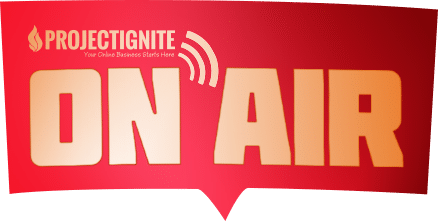 Welcome to the Project Ignite Podcast, a podcast designed to skip the hype, skip all the BS and just give you real actionable tips and strategies from real digital entrepreneurs to help you grow your business and income on the Internet.This is your host Derek Gehl. Wow, we’ve got a really special guest on the show today. Someone who’s been in the online marketing world, I was trying to think, but as far back as I can remember. He’s really a pioneer in the world of digital business and online marketing. Since 1993, he’s generated almost $400 million in sales and profits for his students, clients, joint venture partners on five continents. His marketing strategies help convert his personal income in 2001 to a monthly income by 2003 to an hourly income by 2006. By 2007, his proven enrollment strategies helped him generate 1.2 million in less than 29 minutes in fact. He’s been acknowledged by many of his colleagues as the Warren Buffett of Internet because of his unique ability to make money for his students and joint venture partners. He shared the stage with some really incredible people like Sir Richard Branson, Donald Trump, Tony Robbins, Suze Orman, the Dalai Lama. As a master visual presenter with now over 22,000 hours, I think you need 10,000 to be a true expert, he’s at 22,000, of training experience. In 1989, he had a lifetime goal with his colleague Mr. Jack Canfield to influence one million other trainers by his 77th birthday. Without further ado, I’d like to welcome the one and the only Alex Mandossian to the show. Alex, thank you so much for being here. Derek, you’re welcome. I’d like you to send that introduction to my mom because she still doesn’t know what I do. I feel you. I feel you. My mom has no idea, no idea. It’s some Internet thing once in a while. They just want to know that it’s legal and they’re happy. Yeah, exactly. You just got back from some foreign country. That makes sense. It’s a fair, fair concern.Let’s dive in here. Let’s start at the beginning. We’re going to talk about conversion rate today. Conversion rate is a big marketing focus for you. What specific incident in your life inspired, motivated you to become the conversion rate guy, to focus on conversion rate? Let’s start there. Well, Albert Einstein said, “Nothing happens until something moves.” In the marketing world, nothing happens until something is converted whether it’s a suspect to a prospect, or a prospect to a buyer, or a buyer to a multi-buyer.Conversion is about movement and marketing is about moving people. Simple as that. In 1989, I was broke. I’m sitting on a park bench. My Volkswagen Jetta is parked on the street. 16 months earlier, I’d started a frozen yogurt and bakery store. It was a franchise. It didn’t work out. 16 months later, on the park bench, I’m 242,000 US dollars in debt. Gone was all my grandparents’ savings and my accounts. Gone was the money that my mom and my dad gave me. My mother’s house was up for security, and it was up for foreclosure. I didn’t really want to go home to mom but that’s where I was going when I was sitting there in MacArthur Park in Los Angeles, California. It wasn’t a good time for me. On that bench, this is not embellished, this is a true story, I watched a woman put a nickel, that’s what it was back then, into a birdseed machine. She wanted to feed the pigeons. Now, I’ve been to Venice before and the pigeons in the Venetian Square, they just come to you. They didn’t do that at MacArthur Park. This woman was walking towards the pigeons. What do pigeons do? They walk away because they’re afraid. She walked, and turned around, and showed the birdseed to them. We’ll call that the lead magnet or the bait. The pigeons walked towards her. Let’s call the pigeons the prospects and the woman the marketer. She turns around again and the pigeons again are walking away. I’m observing this. I’m not thinking marketing. I’m broke. I didn’t even know what I know today. I noticed that the distance between the pigeons and that elderly woman became less and less as she went through the dance. It took about 10 minutes until the distance came to a very close proximity. She got on one knee. She was heavyset so it looked difficult for her to get on one knee. She put her hand out with the birdseed. I guess one very brave adolescent pigeon pecked her hand and got some seed and then everyone else, all the other pigeons followed. It was amazing because she’d go back to the birdseed machine and she didn’t have to go through that dance anymore. She got the first sale. Then it seemed like her backend business was booming because they were landing on her shoulders. They were landing on her head. They were pooping all over her, which is good luck. I noticed this happen and I didn’t think of it until about 15 years later. I thought, “Wow. That is conversion.” You have to do it gradually. When you earn the knowing, and liking, and trusting who was attempting to convert you, in that case the woman, then you can have your prospects feeding from your hand. Now, an interesting epilogue is there was about a five or six-year-old kid. It was summer. I love to say it was snowing and it was horrible, but it was comfortable. It was Los Angeles. I’m broke. I’m on the park bench. I watched this little kid asked for a nickel from his mom, got the birdseed. He wanted the same result as the woman. Who wouldn’t? If it takes a human being 40 weeks from the time that you’re released from dad and you’re received by mom, and then 40 weeks later, you’re out, born a genius. Many million times the size when you started … My son came out 37 weeks. That was really inconvenient because I had a teleseminar on that day. Nevertheless, it’s about 40 weeks. It takes time. For this woman, it took 10 minutes. For the kid, he didn’t want to go through it because he was impatient. Really, the world of marketing conversions is taking that story as a metaphor now that’s many years later, and you’ve got to be like the woman. Do the dance with your prospects. Do the dance with your buyers. Do the dance with your multi-buyers even suspects, people who are just clicking. Do that dance. It takes a little time. Once you get them, then you will have beak to hand feeding from the palm of your hand ongoing if you do the right thing, and you won’t be like the boy who just wanted the conversion rate result and wasn’t willing to go through the evolution of the result, wanted a quick fix. I’d call him the bright, shiny object chaser that we have many students. That’s how everything started and it wasn’t as poetic when it happened. It was horrible. It took me seven years to get out of that mess. It’s the best story I can think of that’s true that really makes an impact on the idea of what conversion rate is really about. It’s a relationship thing. It’s not a technology thing. That’s so true. I see it all the time. I know you see it all the time. People are that little boy. They don’t take the time. They’re chasing their client, beating them over the head and never getting the conversion rate they want.That being said, there’s the other side of it, too, where I see people that they’re doing the polar opposite of that, and they’re never focusing on the conversion rate. They’re just focusing on the give, give, give. They’re the guy with the birdseed that just walks out there, throws it out into the middle of the pigeons and wonders why no pigeon will walk up to them either. That’s exactly right. They’re feeding the pigeons by throwing the seeds, and they never have the beak to hand relationship. They feed the pigeons but the pigeons have no reason to come to them to bond with them and to have that relationship. On the other pole of that is feeding them but not asking for the trust of feeding from your hand and monetizing it. That brings us to this point in the middle, the point everybody needs to be at, and that’s conversion rate. Let’s start at the beginning. What is conversion rate by definition? Conversion is movement from suspect, which I would define as someone clicking a link, to prospect, which I would define as someone opting in. Now, online your website conversion rate would be opting in.In a retail store, it would be someone putting their business card in a fishbowl or something just so you can contact them, and you can take over the agenda of contacting like email has done over the past 20 years. Then buyer, I use the word ‘buyer’ because there’s customer, patient, student, member, all these different words, client. I like to say buyer because a buyer is someone who spends a dollar or more. You turned pro. You’ve gone from amateur to professional. The conversion from prospect to buyer is one dollar or more. Steve Jobs made a fortune on 99 cents for so many years. Then the multi-buyer, this is where a lot of people in my tribe get confused. They think an upsell, or a cross-sell, or a one-time-offer, an OTO, they think that that bump in revenue is a multi-buyer. It’s not based on my definition. Again, these are just my projections and my definitions. I believe a multi-buyer is someone who buys at another session. If you get an upsell or a one-time-offer sale, good. That’s a better buyer but that’s still one session. You don’t have a pattern. If they buy a second time, then that lifetime value of the multi-buyer, in my tribe, is five to eight times more than the single buyer. The purpose of our company is to create multi-buyers. Then once we do, it’s up to them to choose what they want to buy from us, and we don’t have to promote to them as hard. The conversion process is a transformation from suspect to prospect to buyer and multi-buyer. 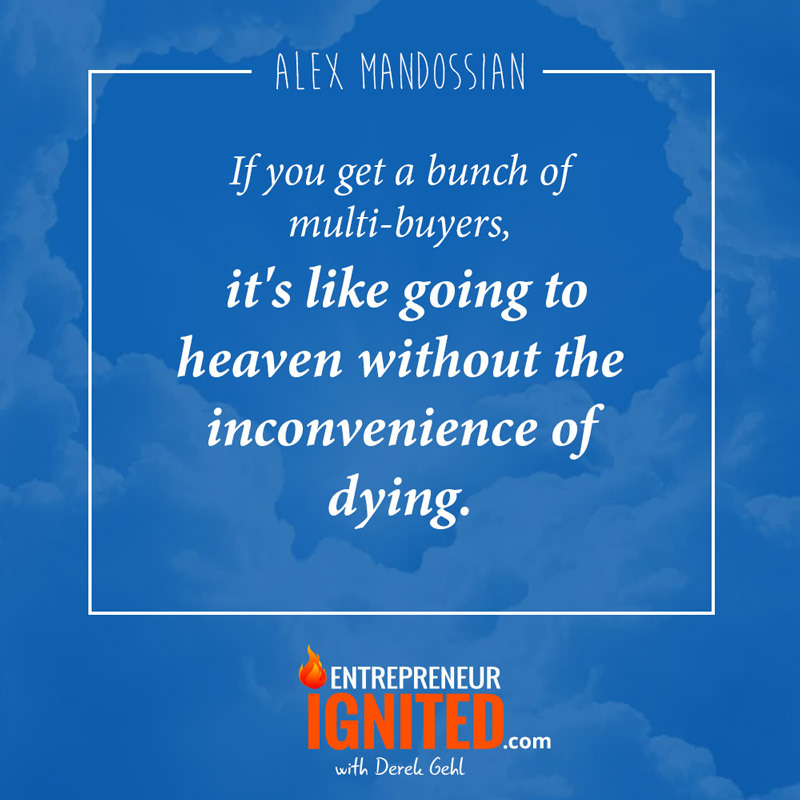 If you get a bunch of multi-buyers, it’s like going to heaven without the inconvenience of dying. I love it. Let’s dig a little deeper into conversion rate process and what that looks like. Can you give us some specific examples of how a business would work people through that, what the offers would look like? Sure. I’ll give you a marketing funnel, which is a client path or a sequence that we’re known for in marketing to coaches and consultants.Now, coaches and consultants are awesome at coaching and consulting, working in their business, but they’re not so good at the part of working on their business, which is the marketing activity. Working in the business is production, coaching, operations, the admin and finance. The working on is the marketing. People say, “Well, I’m not a marketer.” Well, that is the business. If you’re a dentist and you don’t market, you have no patient. If you’re a chiropractor, you don’t market, you have no patient. If you’re in financial services and you don’t market, there’s no client. Typically, coaches and consultants, now I’m just using that as a catch-all category, this works for any business, there’s usually a cash flow famine or feasting period depending on what they’re doing. We’ve surveyed our list of over a quarter million, and we found that 87%, that’s over five-sixths, stated that they don’t have a tested and profitable lead conversion process. That lead conversion process is something that is what everyone else calls a funnel. A funnel that we use for high-ends clients is, first, bring them in through a lead magnet and give them some content to educate them why it’s important to have high-end clients. That’s what we’re doing. We’re attracting high-end clients and we’re teaching them how to get high-end clients. The moment they say yes, we’ve already proven the concept. Just to stop there, what would a lead magnet look like? For us, it’s a template and it’s a 13 question template, which I can give away at the end of this interview. It’s called the COI method. What COI stands for is cost of inaction.Most people sell and most sales trainers teach the ROI method. They teach how to sell high-end clients on return on investment. “If you spend 25,000 with me, I’ll show you how to get 50,000.” That’s not what we do. We have this unique process called the COI method, which doesn’t require sales skills, which is really good for coaches and consultants looking to increase conversion rate because many of them don’t have the sales skills that sales trainers and sales people do. It’s a 13 question method. It’s in one page. We have people from age 13 to, get this, age 91, a guy with a cane and cataracts online, doing high-end sales for World War II veterans actually. It’s really interesting. He lives here in San Francisco. My youngest was eight years old in Melbourne, Australia. I told her she couldn’t come on board. Her parents were going to sue me. I said, “Okay. Fine. Come on board.” She was awesome. That’s our lead magnet. It’s a one-page template. Then when they actually opt in, they go through a group strategy session that’s recorded. They see the 13 questions being used. Then if they decide to take an assessment, they take the assessment. Again, these are the points in our funnel. Then they’re eligible for a one-to-one strategy session with one of our folks. Then, at that point, they have a choice of three different options. They already know the price before coming in. It’s not a yes or no, it’s a yes, yes or yes. It works superbly. That’s one of our funnels that has worked really well, especially after product launches. Rather than going to a 12-pay program, Derek, where you’re getting really the lowest rung of client or student, what we do is we close the cart. Then we reopen it and say, “Offer is no longer available. It’s two grand, no longer available. Maybe next year. We do have an accelerated program where we’ll give you 2,000 bucks off because you get the product for free and the do-it-yourself version. We will take you through the accelerated version of what the do-it-yourself course was going to be.” This is post launch. We’ll typically make more money on the high-end clients. Our affiliate partners know what we’re doing. We typically make more money after the cart closes and reopens just for high-end than we do in the $2,000 or $1,000 sale before. That’s a new model to increase conversion rate. It’s post-launch training, not pre-launch content. It works really, really well with the Jeff Walker model. It was the COI method, cost of inaction method and 13 questions. What it does is it resolves their predicament of what to say and what to ask during that critical conversation of turning a prospect into a high-end client. Not a hundred bucks. I’m talking $10,000, high-end. Yup. Then from there, you give them a recording that shows them how to actually apply what they’ve gotten in the lead magnet, correct? They see a group strategy session, which many people don’t do. It’s a group session and it’s a real one. I actually converted two $25,000 clients from that particular session so I got lucky on that one.They see me using the template. It’s about an hour and a half, and then they’re asked to take an intake like you would do at a doctor or an assessment, if that’s a preferred word. That assessment takes in all the background information. Now, each step from lead magnet to watching the group strategy session on Wistia, we’re finding out when they’re leaving, et cetera, to actually going into the assessment each is making that prospect work harder and harder. One of my mentors, Joe Sugarman, once taught me the harder a prospect works, the more likely it is that they will say yes and less likely to reject you. We’re sending them through a sequence of hoops smaller, and smaller, and smaller. Then by the time they get to one-to-one, really, we’re not wasting any time.We know that they’re pre-qualified, and we’ve disqualified everybody else. That generates about 2 million bucks a year. It’s very profitable. It’s an interesting conversion rate model because it flies in the face of so much of what’s taught out there. There’s always the you want to eliminate as many barriers as possible. You want to make it as easy as possible to flow through the funnel.Effectively, by creating those barriers, making it more difficult, you’re actually pre-qualifying these clients which I think, for the listeners, that’s a really important lesson there. Now, I want to dig into this assessment thing because the assessment, I think, is a brilliant little conversion rate strategy there because effectively what you’re doing is capturing the information about them. If they meet certain criteria, then they get to talk to somebody? That’s correct. They have to score a certain level in the area of commitment. If anyone wants to rip it off, please do. When people say, “Hey, listen. I don’t want stuff stolen.” It’s stolen all the time. If you steal from one source, it’s plagiarism. If you steal from many, it’s called research so be a researcher.If you go to Funnel Marketing Blueprint, you can look at the 25 questions we ask. The final group of questions … It’s on like a slide rule. It’s from zero to 10. If they score a 35 or more out of 50, if they score 35 or more, then we end up taking them in as a true strategy session. That’s because they’re showing us their level of commitment. They can have the need to do it. They can have the yearning to do it. They can have the skill set to do it. Unless they’re committed to do it and they’re willing to pay for mentoring, then we don’t have the strategy session so that’s the pre-qualification, I guess, disqualification process. Sure. What’s happening of the people that hit the assessment? I don’t know if you know the numbers off of your head. How many move through to a strategy session? Then for the ones that don’t, what do you continue to do with that group? 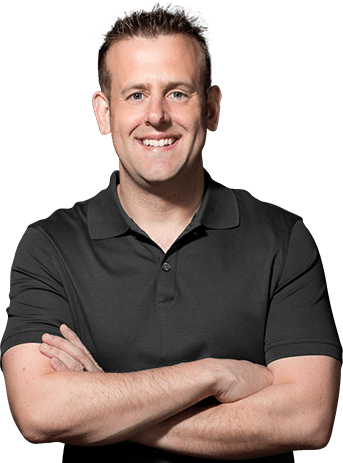 Our conversion rate is about 35% move to the strategy session and the 65%, I’m just giving round numbers, we put them in another funnel to get one of our do-it-yourself courses which range from $500 to $2,000.What we’re doing is if they don’t rate high on commitment, then we’re giving them less access to us. If they rate high in commitment, then they get more access to us because access costs money, as you know. I think there’s an important lesson for everybody that’s listening there. Although the funnel is disqualifying people that are not going to make it to the highest level, they’re not just put out to pasture. They’re moved into different funnels that are more appropriate for their, in your case, level of commitment. That’s correct. Some people call it a takeaway. To me, it’s just sanity because I don’t like my salespeople to be rejected. They’re not manipulating to increase conversion rate. They’re using the COI method.That’s like this ambiguous term. ROI focuses on point B. You want to increase conversion rate to make $50,000 a month, great. Well, we’re going to get you there. You can make a hundred thousand dollars a month in one year. I’m characterizing but that’s the direction it goes. We’re focusing on how inspired and motivated they are to make a change because we don’t motivate anyone. We only get pre-motivated people. If they say 10 and they’re willing to make a change, then here’s our pivoting question and it’s in the template. Then we give them three options. Now, the options we give are very high, $25,000, then mid-range, $5,000 and then low, $2,000. That’s one of the funnels that we have. The key is a very steep drop. 25,000 is private consulting with me or private coaching. It has to be a huge drop from 25 and we go all the way down to five. The reason for that is you’re taking access away from 25 to five. We find that a lot of people say yes to five as a result of that contrast that I learned from Dr. Robert Cialdini who I got to interview several times who is from Arizona State University. It’s that contrast. Now, if you started by saying, “Hey, we have 2,000, 5,000 and 25. What do you think? Which one?” All of a sudden, 5,000 seems like a lot. We go backwards. We go top-down and we flip the funnel from high-end to low-end. Most funnels are low to high. The reason we do that is that’s the way it’s in the real world. If you’re going to buy a refrigerator, a really good enroller, a sales person would take you to the $3,000 model and if you don’t want your name inscribed on the ice cubes, then he takes you to the thousand dollar model and takes away a bunch of feature. Then if that’s not good, then you go to the $500 model which cools food. I believe downselling, Derek, is a lot easier than upselling as far as conversion rate goes. We live and die by upselling in tripwires, and OTOs, and stuff like that, all the marketing jargon. Downselling is what really makes attracting and increasing conversion rate of high-end clients a lot easier because of this law of contrast. That’s how we do it in that process. Speaking from personal experience, just for everybody listening, I swapped in one of my presentations how I would present. I used to do an upsell model, and I did exactly what you were just talking about and saw a significant increase in conversion rate right away.For everybody listening, what you just learned there was immensely, immensely valuable pricing strategy to improve conversion rate. You might be thinking, “I don’t have a really high-priced product to compare against.” My response to that would be make one. For you, Alex, you have a $25,000 which is, I assume, just a lot more access to you. Yeah. My best funnel, my most profitable one is are you sitting? Hundred thousand, 50,000 and the low-end is 25. Never mind what’s involved. With a hundred thousand, that person and I, we’re a lifeline together. I can only serve five of those a year because it’s a lot of work, but it’s my favorite because I’m a shareholder in the company. How that company grows, I’ll have a piece of. I’m getting paid to earn, and learn, and build the company.At the 50 and 25 level, it’s less access and less me doing the consulting work and actually writing copy, and delivering, and building stuff for them, but it’s still a lot of access. It took me, what? I’m a grandfather in Internet marketing. It took me 25 years to get to that level. When I first started $10,000 was high-end. If someone is listening now and you don’t have a $10,000 product but you do have a thousand dollar product, say that you are creating a $10,000 product, which is authentic and genuine, if that’s your intention, but it’s not available yet. Just by mentioning the $10,000 product, it will make the thousand dollar product so much more appealing. That’s what the law of contrast does. Now, I tell my students, “Sell the $10,000 product.” As soon as you get your first yes out of a hundred people, if 99 say no and one says yes, you will be so motivated and inspired to create a $10,000 product that I can help you with versus trying to build one and then see if anyone wants to buy it. We believe in selling it first and then creating it versus creating it. Guessing wrong and then trying to sell it and it’s trouble and struggle. Yeah, absolutely. That’s huge. I watch people all the time throw all this effort into creating stuff before they know if it’s ever going to sell or anybody is going to want it. It’s totally the wrong way to do it.My last big product that I launched, which I’ve now gone on to sell millions of dollars worth, I got on a stage and I sold it. I designed it the night before. Just here is what it should look like. Here’s the offer. I got on stage, sold it. I sold the hundred thousand dollars and went, “Okay. It’s for real now.” I tell you nothing motivates you to get to work and create something than having people knock on the door wanting it. It’s such a shift and people are afraid to take that approach but it works well. I’m sure you’ve done the same thing many times. It’s pre-funding. You’re pre-funding your project. Before I do a course, we have a very interesting model called the beta course model. We’ll sell beta levels of a course. I don’t know what should be in the course. That’s what my beta testers are going to do.Rather than paying 2,000 bucks, they pay 500 bucks. I’ll get 80 to a hundred of them. They become my case studies for the real release and the real launch. They become my testimonials. They teach me what to put in the course and what to leave out. They allowed me to fund all the little things that you need from the platform that you’re going to use to the copywriter that you’ll pay, if it’s not you, to write the copy of all the content and auto-responders, the drip process on the students or clients, whatever you call them. Just having a beta launch will pre-fund a course. Make sure that you’re not guessing wrong. You never want to play pin the tail on the donkey with your marketing dollars. Yeah, absolutely. Why do people not do this? What are the roadblocks that are preventing entrepreneurs from applying your processes, the COI method? Well, I think, first of all, they think selling is dirty. Selling is cheesy. They’ve had some childhood incidents or maybe adult experiences where they’ve seen disingenuous sales. They see it as manipulative. It’s not relationship-based.That kind of selling, we call it enrollment because we don’t use sales. Most people don’t like that word. That kind of enrollment is no different than what Mahatma Gandhi did with the Indian people, what Mother Teresa did in the slums, what Dr. Martin Luther King did with the African American people back in the ’60s or JFK with the United States. You can go back to every spiritual tradition that was always enrollment. In the Christian tradition, the 13th Apostle Paul was probably the greatest salesman ever. He converted people. That what’s you do in spiritual tradition or religion, you convert. They have a successful conversion rate. This has been going on for thousands of years. I think the reason people don’t do it is because they don’t know how to do it genuinely and authentically. Secondly, they are afraid of selling high-end because their self-esteem is attached to a bunch of zeros. The example I give is let’s say you had hundred dollar clients and $10,000 clients. Let’s say you were talking to a hundred people a month. If you had a 50% conversion, one out of two people said yes, I would pay you as a mentor because I need to learn that skill. I don’t have that track record. Let’s say you converted one out of two, you would have $5,000, 50 times a hundred at the end of the month. Now, let’s say you’re going after $10,000 clients. You’re talking to a hundred people and two people say yes, 98% rejection, but yet you got $20,000, which is 400% increase from a 50% conversion. Many people think it’s the conversion rate percentages that count. No, it’s the conversion rate coupled with the pricing structure, in my case, high-end clients. They are less problem children. We flip the funnel. We offer the high-end first. Many people offer the open mouth of the funnel, the top of the funnel usually is with the less expensive stuff, and the lead magnets, and the tripwires, and all that stuff. We flip it for more profitable conversion rate. We go, “Hey, if you were to by the kitchen sink, here it is a 100K. Well, if that’s not working, 50. It doesn’t work, 25. That doesn’t work, 10. That doesn’t work, two. That doesn’t work, 500. That doesn’t work, 20. If that doesn’t work, you can come in for free.” It’s at the bottom. We flip the funnel. We feel that the lower end should be on the bottom and the high-end should be at the top. In the traditional funnel, it’s just flipped. At the bottom are the high-end and that shouldn’t be. I’m going to assume. They would have, had you started at the higher end, invested significantly more and taken you up on that.One of the things I want to say about this whole process and the selling method that you’re using, the COI method, from all the different selling methods that I’ve learned over my careers, even if you are not a salesperson, this is a far more comfortable way to sell because effectively you’re taking people through a process of self-discovery where they’re effectively selling themselves. You don’t have to be that hard closer that’s pulling all the NLP tricks out of the book and using your system. It’s just a series of questions in a process you’re taking people through. For everybody listening, you don’t have to be a salesperson for this. Am I correct, Alex? Yeah. That’s why we created it because most people don’t enjoy sales. COI method is a method of coaching which is inquiring method, Socratic method. The other person is doing all the talking and they’re looking at the gap from where they say they want to be. We’re not telling them where to go.They’re saying, “Hey, I want to be at $10,000 a month.” We go, “Where are you now?” “5,000.” There’s point A, point B. There’s a $5,000 per month gap. What’s getting in the way? What change has to be made? They say, “How do you know I need to make a change?” They always ask that. You know what I say? You’re here. This comes back to, I think, everything you’re talking about here, Alex, is conversion rate, making it measurable. Once you can build a business that’s measurable and built on a process that you can predict, now you have a real business. If you’re relying on one hot salesman for conversion rate, your business lives or die by that salesman staying or going. For everybody listening, this is where you need to be. Alex’s approach to this is very systematic in developing that sales process. 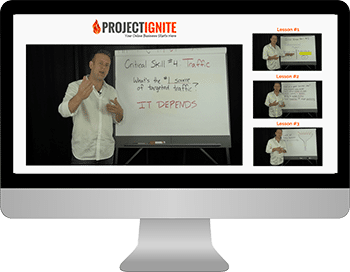 Effectively, you’re handing out the funnel blueprint here to them which is awesome. That being said, before we start to wrap this episode up, Alex, what’s the next logical steps that they can take as a result of listening to this episode? Where do people go? Well, the first thing is to learn the language of this COI method that I’m proposing.It’s one conversion rate method that works and it opposes the ROI method which slick salesman can do because they have that skill set. It doesn’t oppose it diametrically. It just complements it and it’s a lot more simple and easy to execute because you’re coaching your way to high-end sales versus selling your way to high-end sales. If you want to see it, it’s on a single page. I recommend that you put a laminate around it. Go to a local Office Depot, or Kinkos, or whatever and laminate it like I do so you can spill coffee on it or water and it’s still good. Mine is laminated. If you go to AccessInfluence.com, you’ll see a little screenshot of it. Just opt in and you’ll get it on the next page. Print it out and look at the sequence of questions. You don’t have to use all the questions. Some people don’t use all 13. I’m truncating it and shortening it, but that’s the essence of COI for improving conversion rate. You can apply it to any business, not just in the area of money which, for me, is business and sales, but it can be in the softer areas, too, especially spiritual practices. Well, we have spiritual psychology graduates from the University of Santa Monica, which has a great program, and they’re coaches. They’re very spirit-centered. My marketing buddies would go, “That’s woo-woo. I don’t like that.” They’re utilizing it to increase conversion rate and typically that particular tribe of people just loathe selling. If it’s good for them, then I think it passes the sniff test. That’s fantastic. Even if you’re not doing the sales, grab this, give it to somebody that is doing sales for you. They can use this as a template.Fantastic. Alex, thank you so much for taking the time today to talk about conversion rate. I know your schedule is busy. You’re all over the world speaking. I appreciate you taking the time and again, for the generosity, sharing the whole process. Effectively we just reverse engineered a funnel that’s made you millions of dollars, and you just shared all of it so thank you so much. You’re welcome. I’ve walked into a room that was a night party for a well-known conference. I saw you the first time in six years. You converted me. You got me on the show. It’s a blessing so thank you for having me. I don’t know what to say. Fantastic, Alex. Thank you so much.All right, everyone. That was, god, Internet marketing legend, conversion rate expert, whatever you want to call him, all of the above, Alex Mandossian. As always, all the links that Alex mentioned, I’m going to include those in the show notes. I don’t care what you’re selling. I would go grab a copy of this. Understand his funnels. Like he said, reverse engineer that. See what he’s doing. This is a master of selling online, somebody that’s been doing this longer than most people have known about the Internet for that matter. Take action and utilize those resources he’s sharing to increase your website conversion rate. Study those funnels. Again, if you haven’t done so already, make sure you subscribe to this podcast. If you’re on an Apple device, head over to iTunes, click subscribe. If you’re on Android, head over to SoundCloud or Stitcher Radio. You’ll find us there as well. While you’re there, if you like what you heard, please leave us a rating or a review because that’s the fuel. 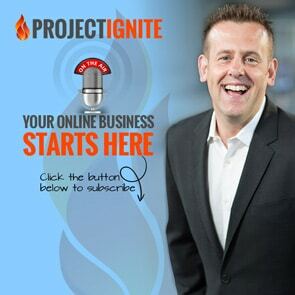 It gives me the momentum and motivation to continue making this the best info-packed podcast for digital entrepreneurs. 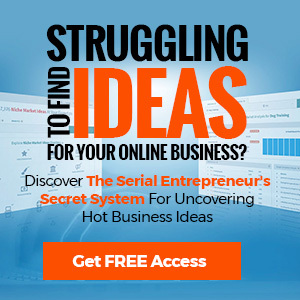 Now, it’s time to take all of the tips and strategies that Alex so generously shared with you here today and apply that final essential ingredient that’s actually going to make it work for your business. That ingredient is action. Go forth. Take action. Go study Alex’s funnels. Download those resources he shared with you. You’re going to start to see conversion rate results guaranteed. Once again, guys, this is your host Derek Gehl signing off.